A KILKENNY CREDIT Union has been fined €210,000 after an investigation by the Central Bank found that it failed to balance its main transactional bank account over 15 months, which exposed members’ savings to a risk of loss. 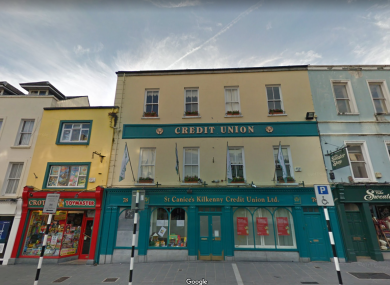 St Canice’s Credit Union in Kilkenny City has been reprimanded for a total of eight breaches of the Credit Union Act, 1997, occurring between August 2014 and January 2016. The Central Bank’s investigation found that St Canice’s Kilkenny Credit Union Limited failed to properly manage the integration of a new IT system which meant it was unable to reconcile its main transactional bank account correctly. As a result of this St Canice’s was unable to ensure the protection of members’ savings, although no loss was actually sustained. After becoming aware of the issue, St. Canice’s failed to report it to the Central Bank and during that time knowingly submitted five inaccurate quarterly prudential returns to the Central Bank. The Central Bank of Ireland’s Director of Enforcement and Anti-Money Laundering, Seána Cunningham, said that the Central Bank relies on the prudential returns to assess the financial position and stability of credit unions. By submitting inaccurate returns, the Credit Union comprised the Central Bank’s ability to effectively and appropriately supervise it. The Central Bank said that ”the sanctions imposed on St Canice’s reflect the seriousness with which the Central Bank treats the relevant contraventions and the importance of the Central Bank places on compliance with the 1997 Act”. Following the investigation, St Canice’s has implemented a number of improvements including the introduction of an IT strategic plan, a change management policy and the appointment of an IT officer. Email “Credit Union in Kilkenny fined €210,000 for failure to protect members' savings”. Feedback on “Credit Union in Kilkenny fined €210,000 for failure to protect members' savings”.